I’ve recently fallen back into the Android fold after having to, alas, leave Windows Mobile. While the app gap has always been a bit of a bummer for the Windows Mobile platform, I never found an app so compelling that I was willing to leave, until now. If you happen to follow my posts, you know that I recently joined the world of hearing aid users (see my post on Signia’s Primax Pure). Signia has a few apps, one of which, touchControl, allows me to control listening signatures, for example, one for listening to music, one for being outdoors etc., as well as a plethora of other features. I have an iPod Touch that allowed me to control this but I didn’t want to carry around two devices all the time; since there is no Windows mobile app, this necessitated moving to iOS or Android. While I appreciate iOS (and iPhones), this is just not the platform for me. I have previously been on Android way back in the day, I think under Froyo on a Galaxy Epic (Samsung Galaxy S device with a physical keyboard). Diving back in allows me to see where the platform has come, including hardware, the OS itself and related applications. This is a first of a series of post on reflections around my experience moving back to Android. In this post, I’ll focus on the Android OS itself (but can’t completely divorce my experience from the device). 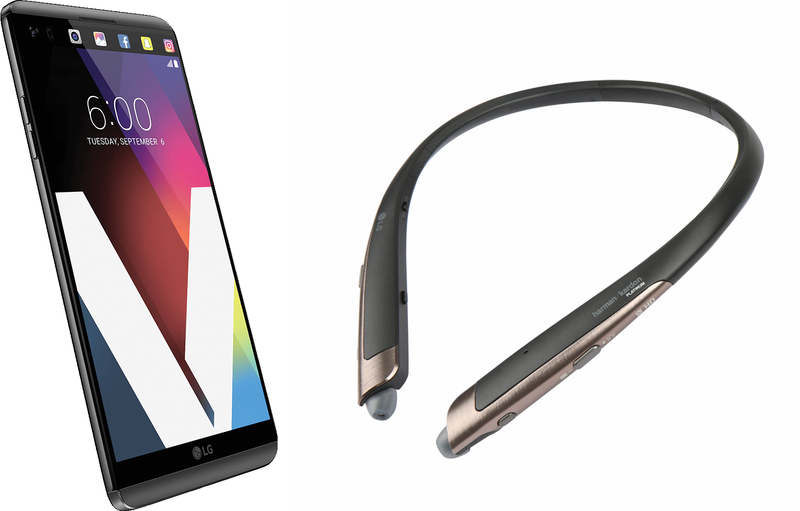 I’ll then post about my new device, the LG V20 (hint – it rocks) and finally reflect a bit more on the ecosystem with a focus on supporting products like LG’s Tone Platinum Bluetooth headset (it too, rocks with help from Comply ear tips). The LG V20 is on Android 7 (AKA Nougat). While it has obviously improved from its Froyo days and is more consumer-friendly than it once was, a number of the platform’s challenges remain such as requiring too much active management and tweaks, a new one have arisen regarding notifications galore and some have mostly disappeared (the OS itself it fairly stable and no longer has the experimental/beta feel of Froyo). So, let’s look at the improvements first. Navigating within the OS is buttery smooth and quick with no glitches or hiccups. I didn’t mind LG’s skin (UX 5.0+) as much as some do; it’s relatively unintrusive and quick. 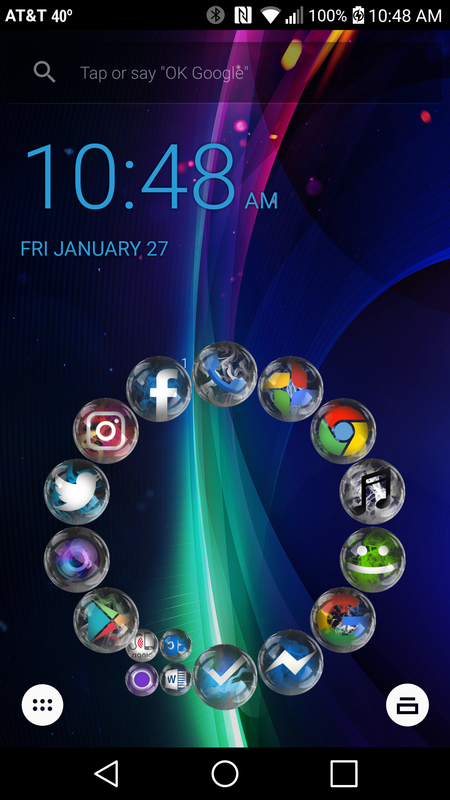 However, I love Smart Launcher Pro 3 with Smoke and Glass theme. I love it when eye candy meets productive function; this combo does so in spades. The OS continues to support a lot of freedom in launchers, widgets and fairly fine, detailed control of the user experience, it works well out the box and the “tweaks” don’t seem to erode your experience. So, while Apple maintains control with the safer and more easily supported route of few customizations, Android continues to embrace the options. That freedom used to come at a higher cost of widgets, launchers or apps failing; that is much less the case now. Overall, the apps work well with two notable exceptions: Spotify will simply pause for 30 seconds or more (mostly when the phone is handing off to a different network connection) and Disney Movies app crashes whenever you switch audio output (take out the headphone jack, use Bluetooth, or plug in a new headphone jack). So, what are some of the advantages of moving to Android over Windows Mobile? The apps – yes, there are more apps. Clearly, the relative dearth of active users of Windows Mobile means developers are less likely to support Windows Mobile apps. Even beyond the critical ones I wanted for the hearing devices, I do like having some additional native apps although my top five haven’t changed. Not only are there more apps, many are better designed and have richer features than their Windows counterparts. Unfortunately, Spotify is just as spotty (sorry, couldn’t resist) on Android which is a real shame. If it is consistently worked, it would be great. Ironically, Microsoft’s own apps are as well supported on Android as they are on Windows except for Groove (music app) and the fact that their services aren’t as baked in. The expanded hardware choices and ecosystem. Again, due to the relatively small share of the smartphone market, Windows Mobile doesn’t receive the love Android does. Not only are there few phones to choose among, not a huge deal for me since I loved the Lumia 950 (a post some context on how I used it as well as my post when I moved from Android to Windows Phone), but there are fewer accessories (screen protectors, cases etc) to choose among as well as compatible equipment such as fitness wearables and smartwatches. Again, not huge for me right now because I love my Microsoft Band 2, but it will be an issue in the future. The ability to get high-quality screen protectors using Corning’s Accessory Glass 2, for example, is nice, and it’s non-existent for Windows phones. Lumia 950 doesn’t support aptX Bluetooth, let alone aptX HD which allows for better Bluetooth streaming of music; LG V20 does. Typically this competition allows for better quality at less cost. As much as I loved my 950, the LG V20 is a better phone for me. 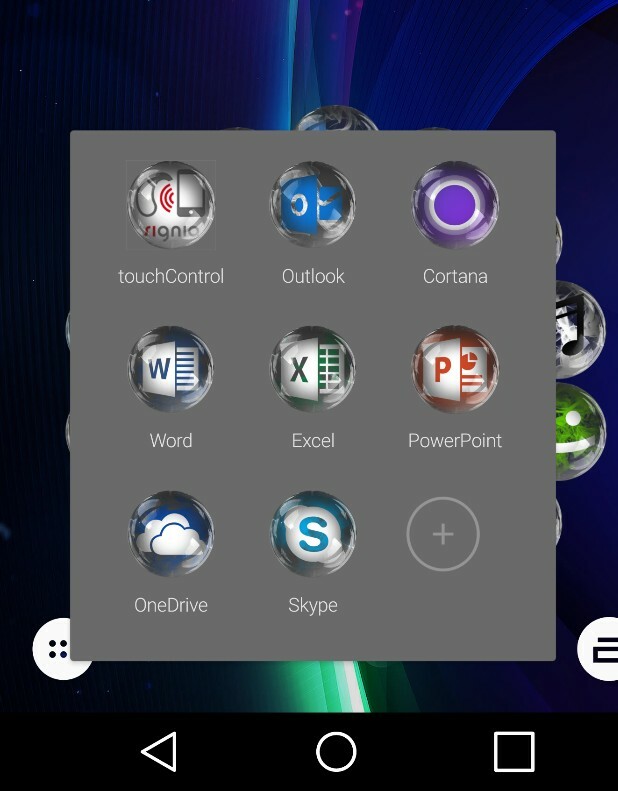 What are some of the disadvantages of moving to Android from Windows Phone? Microsoft services vs. Google services I actually prefer most Microsoft services over Google. I’m an Office 365 user; while Google’s docs, spreadsheet etc apps offer slightly better collaboration, Microsoft’s offerings are considerably richer and are quickly catching up or surpassing Google’s collaboration advantage. I prefer Cortana to Google Now (we’ll see if Assist is any better once (if?) LG V20 goes from 7 to 7.1. The good news is that nearly all Microsoft services are well-supported on Android even if they’re not as natively baked in such Bing Search and Cortana. I understand that, for most, Google services are preferred and, quite honestly, both work well. I used to believe that one should drink the kool-aid of your ecosystem (go all in on Google with Android, Apple with iOS and Microsoft on Windows phones), however the cross-platform access to many services from both Google and Microsoft (and to a much lesser degree, Apple), I think that using other vendors’ services works much more naturally than it did previously. It also makes the transition simpler. So, I’m still mostly using Microsoft services even on Android. Android Fragmentation, Upgrade Limitations and Lack of control of applications On Windows Mobile, upgrades are driven by Microsoft, not your carrier (unless it affects the radio stack on the phone). So, all Windows Mobile 10 users can update no matter the device and carrier, although some handset makers still fail to make some updates available. I can uninstall any application, included those added by the carrier. I can also push almost all apps to an SD card, where it’s really hit or miss with Android apps. My ability to update is controlled by the carrier under Android. You never know if you’ll ever get the next release or not. Notifications This is probably the biggest pain point of moving over to Android. Dumb, multiple reminder notifications. I have turned off most notifications and keep to those apps that I really need to have. Android is known as a system that allows you to really tweak your experience but both in installed apps you cannot remove and in notifications (on or off at the app level and nothing in between – yes you can indicate to “show silently”, on the lock screen or whether they can kick through do not disturb but there is nothing to intelligently manage frequency and to turn off on any acknowledgement that you received it, for example on another device) are two places that really need some help. Not only do I receive multiple notifications for the same item, but there are ways I can acknowledge it where there is no recognition of the acknowledgment (AKA notifications keep coming). I really hate the way notifications are handled on Android. Bottom line, my experience with Android is mostly quite good. Would I have moved over if the Signia hearing aid apps were on Windows Mobile? No. I think the overall user experience is still better in Windows. I believe that Apple iOS is the most consumer friendly but also the most restrictive and costly (and it comes with Apple’s arrogance). Android has the entire gamut of low to high-end phones and allows for much more freedom, but is a little less consumer-oriented; while better than the Froyo days, it still feels a little like an engineering experiment. Windows, for me, strikes a nice balance. However, it’s not like my experience is bad on Android (except notifications). I’ll have to figure out what to do about Spotify – my challenge is to find another streaming service on Android, iOS, and Windows since I have all three in my home (2 iPhones, 2 Android, and 2 Windows). If Groove had a family plan like Spotify, I would move to it in a heartbeat. If Amazon Music, Apple Music or Google Play supported Windows devices, I would move to them. Alas. If Spotify were stable, I would happily stay with them. Argh. I know, first world problems. Next post will all about the LG V20; while I wouldn’t have encountered the cost of a new phone (I was fine with my Lumia 950), once I needed to move, I’ve loved the new handset. In the next post, I’ll tell you why along with highlighting its challenges. Have you ever had one of those moments when, checking out some new music, time seemed to stop, breathing halted and you seemed utterly and irretrievably transported to another place? I had this experience from the first note of Anne Akiko Meyer’s Air: The Bach Album playing “Air” from Orchestral Suite No. 3 in D major, BWV 1068. I had this experience with Doric String Quartet’s new album Schubert: String Quartets Nos. 12 & 15. From the moment you hear the opening of the String Quartet No. 12 in C Minor, D. 703, “Quartettsatz”, you know you’re in for something special. Of course, your next thought is: “Drama much”? Schubert goes full tilt from the opening and the Doric String Quartet transport us into Schubert’s wide-ranging controlled chaos. There is care even in the initial intensity; it is fluid yet precise, sonorous yet buoyant. It is pure liquid loveliness. While I have listened to Schubert’s string quartets before, I’ll admit to not being hugely intimate with them. My bad. I love the playful dance-like quality that is interspersed amongst more reflective movements. They embody so much – ethereal light bonbon moving to an earthy cello repast, sweeping passages of quick action with slower sections evoking a more serious gravitas. I love how they bring out the sense of this mild-mannered Schubert smelling the roses then his inner Teutonic intensity bursts upon us. These various emotions, settings, and passages are ordered to fit like puzzle pieces so that it’s hard to imagine any different musical construction. I think my teen son may have put it best – when done listening to ‘Quartettsatz’ (Quartet, D 703, String Quartet 12), he said “That was amazing. It started…” then he made a grrr sound while shaking his head, AKA said Teutonic intensity, “then…” and he waved his arms and slowly waved his head around apparently mesmerized by the more melodic movements. I feel. My son, Guy, is not inarticulate; attempting to put into words what Doric String Quartet brings out of Schubert in this recording is a Sisyphean task. So, seriously, just go get this album. Plunking down your hard earned cash will rarely be so rewarded.